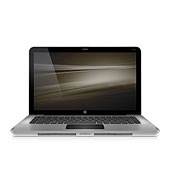 We purchased a HP Envy 15-1067NR from the on-line Microsoft Store back in June. The specs on the Envy are impressive: Core i7 quad-core processor, 15.6” 1920x1080 LED display, 6GB RAM, 500GB hard drive, ATI Mobility Radeon HD 4830 with HDMI output, Gigabit Ethernet, Wifi G/N, and Beats sound. All of this in a thin 5.2 lb package! It was a very impressive laptop spec-wise and we were able to snag a 40% discount coupon for the Microsoft Store which made the deal even better. The coupon was accepted on checkout and the laptop was promptly shipped. Our first impression was good as the packaging of the Envy was spiffy compared to the usual dull PC boxes. The laptop had a nice overall appearance with its magnesium skin and it booted up and was ready to use in short order. The LED display is very nice (as good as any we have seen) and the performance seemed all-around snappy. Then as we began to actually put the laptop to use we started noticing the shortcomings. First, the laptop would get really hot especially in the keyboard area. Under heavy processing load it would get quite hot and uncomfortable to the touch. It never overheated to the point of shutting off as the magnesium skin seemed to conduct and dissipate the heat well, but it definitely was a heat producer. We also found that the touchpad was inconsistent. At times the pad would respond as expected and then sometimes it would miss our gestures -- it was not as consistent in response as the Apple MacBooks for example. Some customers of the Envy have reported problems with the “blank screen” issue but we never experienced that in a few days of use. Some also complained that the palm-rest area around the trackpad was inadequate and would “creak” and “pop” with palm pressure. We noticed some of that but did not find it to be a critical issue. However, the issue that resulted in our returning the laptop for refund was related to the battery. The built-in battery was insufficient for this laptop as it was only possible to squeeze about 2 hours operation from it (even less under moderate processing load). The package included a second “slice” battery that was supposed to attached to the bottom of the laptop. This slice battery added about 2 or 3 lbs of weight which negated the weight advantage of the laptop itself. When we actually tried to use the slice battery we found that it was a poorly engineered fit. The battery did not positively engage with the laptop body and it allowed the contacts to move and apparently short-circuit in use. We found that the movement of the slice battery sometimes caused the laptop to lose power and immediately shutoff. One such shutoff resulted in corruption of the hard drive to the point that it was not recoverable and we were forced to completely restore the hard drive from backup. When we contacted HP Support we were told the laptop would have to be shipped to HP for “repair”. At this point we decided to return the laptop to the Microsoft Store as they have a 14 day full return policy. The Microsoft Store support personnel were very helpful and responsive and the return was promptly processed with full credit issued. We have nothing but positive praise for the Microsoft Store. We wanted to like the HP Envy. It was a lot of laptop for a very reasonable price. In the end we decided to pay the premium for an Apple 17” MacBook Pro. We find the MacBook Pro compares in raw performance to the Envy but it does not suffer the heat issues and the battery life is far superior. However, it comes with a price!